Rian Johnson and “Game of Thrones” showrunners David Benioff and D.B. Weiss are working “very closely” together on their respective installments of the announced “Star Wars” films, Lucasfilm president Kathleen Kennedy said Saturday. In an interview with EW Saturday, Kennedy said that the “Star Wars” franchise will be taking a “hiatus for a couple of years.” But she stressed that Johnson and Benioff & Weiss are still part of the plan for future films and that they will be working in tandem on their projects. Johnson is the director of “The Last Jedi,” and in November 2017, he was announced to be developing a new trilogy that he would write and direct, with Ram Bergman attached to produce. The films were intended to be separate from the Skywalker saga, which concludes with “Episode IX,” now revealed to be called “The Rise of Skywalker.” Then in February 2018, Benioff and Weiss were also announced to be developing a new series of “Star Wars” films that would be separate from both the Skywalker saga and Johnson’s films. A day before Friday’s Star Wars Celebration, Disney CEO Bob Iger said in an interview with Bloomberg that “Star Wars” would be taking a break but that “Star Wars” movies were still in development. 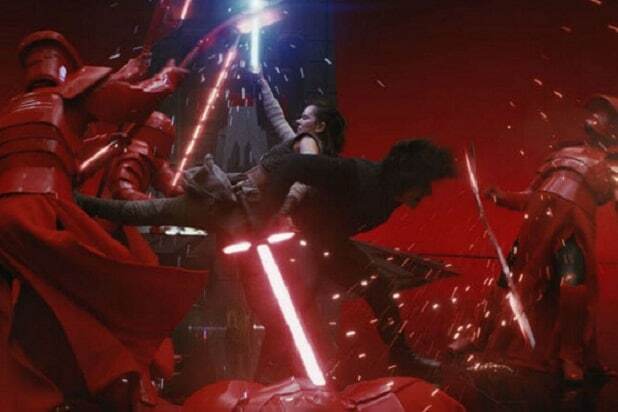 Also Read: Is 'Star Wars: The Rise of Skywalker' Trying to Undo 'The Last Jedi'? Disney is also developing other “Star Wars” themed properties, including “The Mandalorian,” a series for Disney+ as led by filmmaker Jon Favreau, and a “Rogue One” prequel series that focuses on Diego Luna’s character from that film.